With a number of firms such as Euroclear, Lloyd’s of London & Moneygram announcing plans to move parts of the business to Belgium, the role of Brussels as a potential destination for UK businesses will be a topic high on the agenda at breakfast with Ambassador Huygelen. He will also address the main Belgian and EU27 concerns about Brexit, priorities and potential opportunities from a Belgian perspective and issues around the political process for agreeing and ratifying the Brexit withdrawal agreement (with reference to the Wallonia regional assembly…). 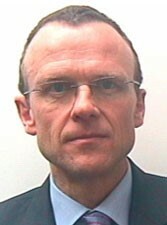 Rudolf Huygelen has been the Belgian Ambassador to the UK since July 2017. He is currently on his third ambassadorship, having previously been the ambassador to Portugal and the permanent representative of Belgium to NATO. Rudolf started his career within diplomacy in 1989 and had his first posting in 1991 at the Belgian embassy Bonn just after the Berlin Wall fell. After three years in the central administration of the Belgian foreign office, he went on to being responsible for the Middle Eastern, African and Asian affairs in the Belgian embassy in Washington from 1999 to 2002 and was working at the Embassy next to the Pentagon during the 9/11 attack. After a short posting in South Africa, he went on to be the spokesperson for the Belgian Foreign Ministry between 2003 and 2007 before taking up ambassadorships to Portugal (2007-2010) and NATO (2010-2014). Before taking up the ambassadorship to the UK, he spent a further three years in Belgium working first at the Chief of Protocol – the primary contact point for all Belgian embassies – and then as Chief for the Private Office of the Belgian Foreign Minister.